Coming out of high school in Japan, Hideki Mizusawa pitched well enough to get himself drafted into Nippon Professional Baseball. 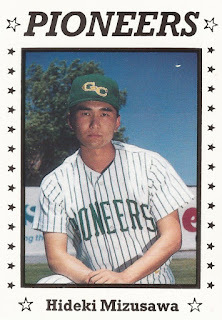 He never made it into a game in the NPB, but he did play a season in the United States. And he later continued in the game as a batting practice pitcher and scout in Japan, according to his Wikipedia Japan page. Mizusawa's career began in 1987, taken by the Hiroshima Carp in the fourth round of the draft, out of what is now known as Akita University Keihodai High School. Mizusawa's name has also been spelled Hideki Misuzawa. The Japanese form of his name is 水沢英樹. He stayed with the Carp on its second team through 1991. In 1990, he was sent to the United States, on loan to the independent Gate City Pioneers of the rookie Pioneer League. With the Pioneers, Mizusawa got into 17 games, starting five. Over 42.1 innings, he gave up 35 earned runs, for a 7.44 ERA. He also went 2-3, with one complete game. Back in Japan for 1991, Mizusawa was unable to make the top Hiroshima club and then retired, according to his Wikipedia Japan page. 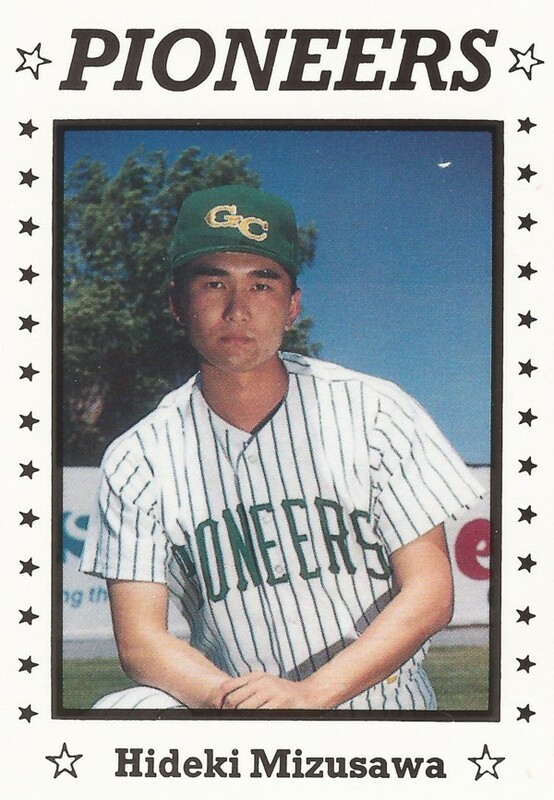 He then went on to be a batting practice pitcher for Seibu Lions until 1997. He then turned his sights on scouting, signing several players for the Lions.